Kawasaki Eliminator was one of the first bikes to offer a low-slung cruiser to the Indian market and when it was rebranded as Bajaj Avenger, the bike became more accessible to the masses. A low-slung bike with a sporty engine made a great combination and Bajaj kept giving it engines from the Pulsar range to provide a wide range for customers to choose from. Thus, the Avenger came in 150, 180, 200 and 220 variants. 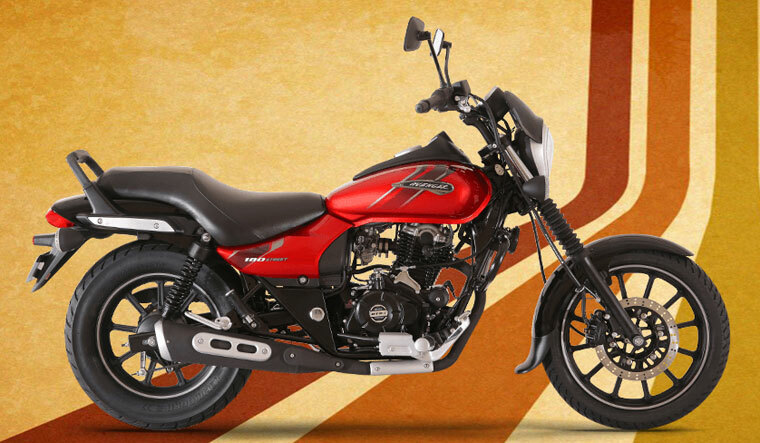 Now, Bajaj has re-jigged the line-up and offers only the 220 (Cruise and Street) and 180 (Street), with the 180 making a comeback after 13 years. The Street 180 replaces the 150 and also gets some new styling upgrades apart from the bigger engine. Let’s start with the engine. The 180cc engine is borrowed from the Bajaj Pulsar 180 but has been tuned down to suit the cruiser character for a more relaxing experience. 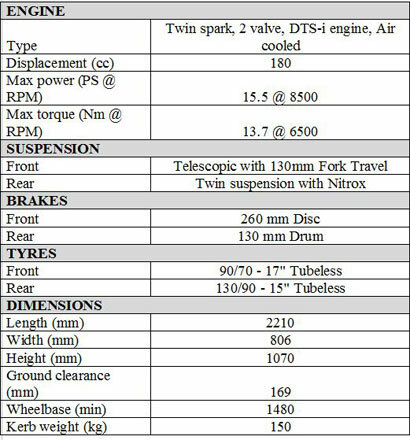 Where the Pulsar 180 produces 17PS and 14.2Nm, the Avenger Street 180 makes a maximum power of 15.5PS and a peak torque of 13.7Nm. Difference between the aggressive Pulsar and the relaxed Avenger immediately comes to the fore. The detuned engine feels more relaxed and refined with a linear power delivery when compared to the Pulsar 180. The five-speed gearbox makes no problem and the light clutch helps in effortless gear shifting. Set the speedo between 90 to 100km/h and the Avenger Street 180 will take you to places in comfort with minimum stress. The vibes from the engine are well controlled till this point, beyond which conditions start getting harsh. Strong mid-range power delivery helps in cruising the highways and despite the drop in performance figures, the engine feels quick enough for a spirited riding. The Street 180 is built on the same platform as the Street 220 and there is no change in suspension setup. The bike handles bad roads smoothly without any major undulations. Braking too is the same as the 220 variant with a 260 mm single disc to the front and 130 mm drum to the rear. Now, there’s no problem with the bike’s braking capabilities but a rear disc should have been included. Street 180 follows the Street 220 in design mostly. There’s the same roadster design headlamp with DRLs with a mini windscreen, Street control handlebar, single piece seat and alloy wheels. Missing out on the all-digital console of the Street 220, the 180 gets a single pod console with an analogue speedometer and a small digital display for other information. Fuel gauge and other lights are positioned on the fuel tank. The Street 180 is a great addition to the Avenger family, one that offers good balance of power, displacement and price. If you consider the competition, there’s Suzuki Intruder 150, which is less powerful and pricier, the Avenger Street 180 will make a strong impression.